BEST NEW ALBUMS OF 2016-PART 1. Arbeit Schickert Schneider used an interesting and eclectic selection of instruments. They combined traditional instruments with electronic instruments and a myriad of effects. They’re put to good use on the multilayered soundscapes. They’ve been influenced not just by Arbeit Schickert Schneider’s musical past, but a variety of musical genres. Elements of disparate musical genres shine through on A.S.S. Everything from avant-garde, Berlin School, experimental, free jazz, funk, industrial, nu-electronica, psychedelia and rock can be heard. So can Eastern sounds, Ash Ra, Kraftwerk and Cluster. The result is music that veers between dark and dramatic, to atmospheric and ethereal, to exotic, to cinematic, moody and mysterious. Sometimes, the music can be melodic and occasionally joyous. Often, there’s a hypnotic quality to some of the soundscapes. Always, the soundscapes are captivating, inventive and innovative, as three generations of master musicians pool over 100 years of experience on A.S.S., and create a groundbreaking, genre-melting album that celebrates Berlin’s rich musical past. April 2016 saw Norwegian space rock pioneers Black Moon Circle make their debut at the prestigious Roadburn Festival. This was prefect timing. 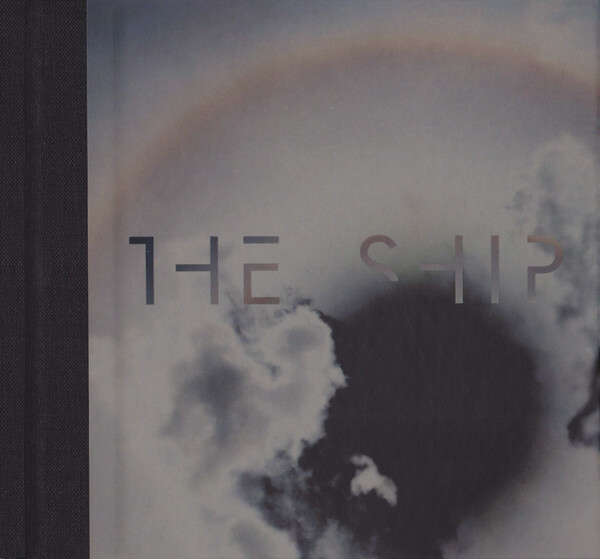 That day, Black Moon Circle released their fourth album Sea Of Clouds via Crispin Glover Records. It was a much anticipated release, that also featured bassist Øyvin Engman vocal debut. The result was a album of melodic and anthemic songs. They were also hard rocking. This is what we’ve come to expect from Black Moon Circle. They revisit their hard rocking brand of psychedelic, space rock on Sea Of Clouds. It’s a fusion of heavy metal, Krautrock, avant-garde, free jazz and post rock. 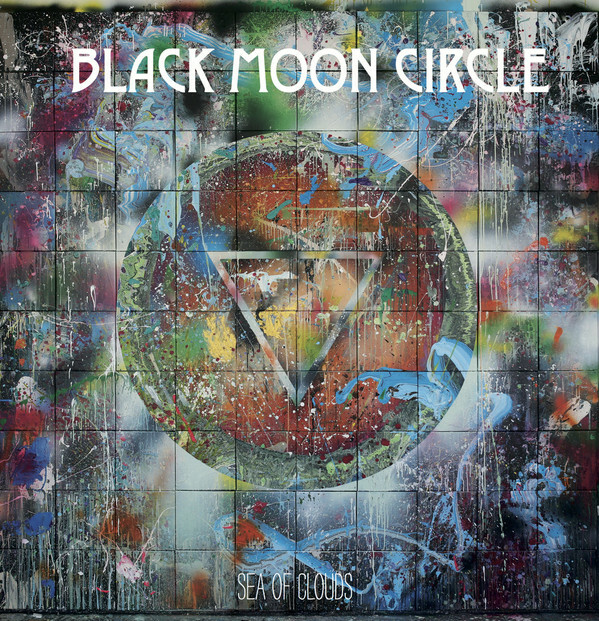 Black Moon Circle have also drawn inspiration from everyone from Black Sabbath, Can and Deep Purple to Led Zeppelin, Hawkwind and Motorpsycho. These disparate musical genres and influences were fused to create Sea Of Clouds. In mid-November, Black Moon Circle released The Studio Jams Volume 2 via Crispin Glover Records. It’s the second in a trilogy of Studio Jams and Black Moon Circle’s second album of 2016. Just like the Trondheim based psychedelic space rock pioneers’ previous albums, they fuse musical genres as they push musical boundaries. 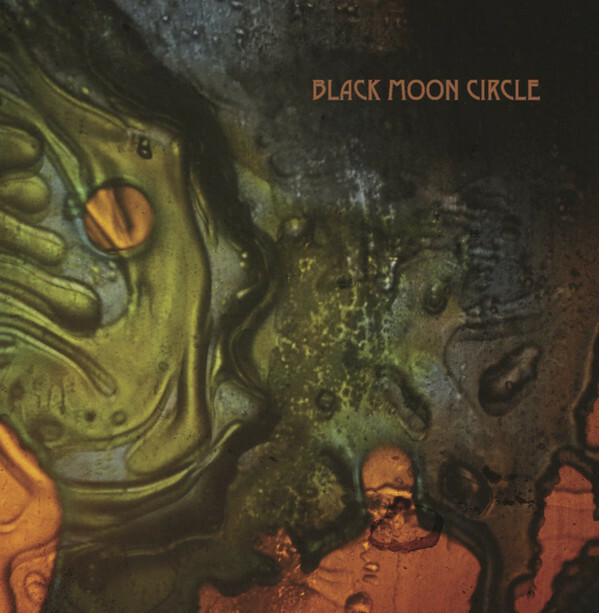 The basis for Black Moon Circle’s music is the classic rock of the sixties and seventies, psychedelia and space rock. 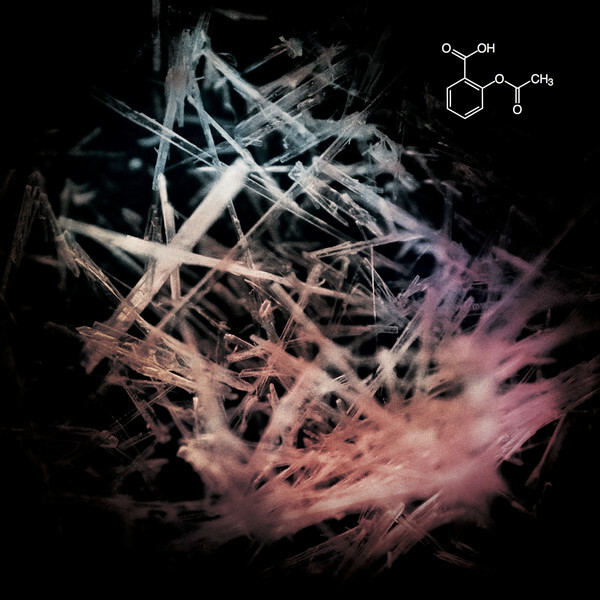 To this, Black Moon Circle add elements of avant-garde, electronica, experimental, free jazz, Krautrock and post rock. Seamlessly, these disparate musical genres and influences merge into something new and innovative. It’s cinematic, dramatic, futuristic, moody, rocky and as Øyvin Engan says, “intense.” This intensity is deliberate. It comes courtesy of the four members of Black Moon Circle. They deploy layers of fuzzy guitars, spacey, lysergic, futuristic, sci-fi synths and a mesmeric rhythm section. They create two “lengthy jams” which features “heavy riffage and the extensive use of effects.” They’re used extensively and put to good use by Black Moon Circle. They’re one of the most exciting, talented and innovative Norwegian groups. They remind me of their fellow countrymen, Motorpsycho and Moster! However, Elements of Can, Deep Purple, Led Zeppelin, Hawkwind, early Pink Floyd and Jimi Hendrix’s guitar playing shine through on The Studio Jams Volume 2 . This hard rocking opus, finds the Trondheim-based psychedelic space rockers Black Moon Circle, reaching new heights on The Studio Jams Volume 2. 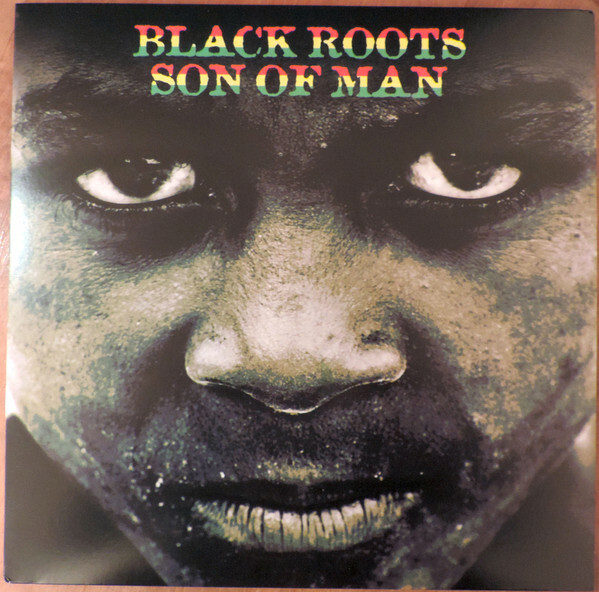 Thirty-seven years after Black Roots were formed in 1979, the elder statesmen of the British reggae scene, returned with a new album Son Of Man. It was released on Soulbeat Records and features powerful music full of social comment. This includes the refugees fleeing persecution in the Middle East and North Africa. Black Roots go to bat for them, and provide a voice for them. However, this is no surprise. Black Roots have been providing a voice for the poor, disenfranchised and dispossessed since they released their eponymous debut album in 1979. Thirty-seven years later, and nothing has changed. Still, Black Roots are highlighting injustice and speaking up for the poor, disenfranchised and dispossessed on Son Of Man, where they mix social comment with a health supply of hooks and melodies. Just over two years have passed since Norwegian trio Building Instrument released their eponymous debut album in March 2014. The album was released to widespread critical acclaim, and great things were forecast for Building Instrument. Since then, Building Instrument have been working on their much anticipated sophomore album, Kem Som Kan Å Leve. After nearly two years, was released by Hubro Music, on the 2nd of September 2016. Kem Som Kan Å Leve marks a welcome return from the Nordic sonic explorers, Building Instrument. They continue create inventive and innovate music, that’s ambitious and adventurous. That music is also beautiful, dreamy, ethereal, hypnotic and melodic. Partly, that is because of Mari Kvien Brunvoll’s vocal. She switches between the Molde dialect, and an invented language that only she can understand. That doesn’t matter. 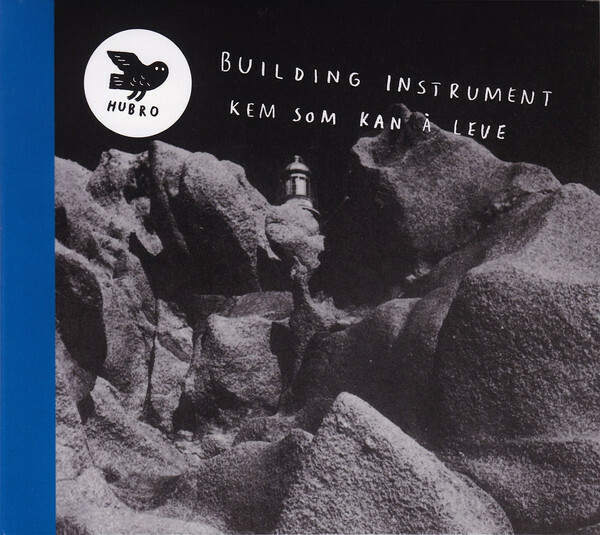 It plays an important part in On Kem Som Kan Å Leve, where Building Instrument followed in the footsteps of Kurt Schwitter. Building Instrument: “go further in the direction of expanding or erasing the meaning of language, just as Schwitters did with his sound poetry.” This was an ambitious project, but the results are fascinating and captivating. They can be heard on Kem Som Kan Å Leve, which finds Norwegian sonic explorers at their inventive and innovative best. Kem Som Kan Å Leve is Building Instrument’s musical Magnus Opus, which features six soundscapes that are ambitious and adventurous, but also beautiful, dreamy, ethereal, hypnotic and melodic. Bushman’s Revenge- Jazz, Fritt Etter Hukommelsen. After spending twelve years touring and recording, Bushman’s Revenge decided to take a much needed break. After enjoying some downtime, Bushmen’s Revenge were raring to go. By then, they had decided to change direction musically. They felt that for the time being, they had taken their fusion of “jazz, progressive and rock as far as they can.” This opened up all sorts of new and exciting possibilities. 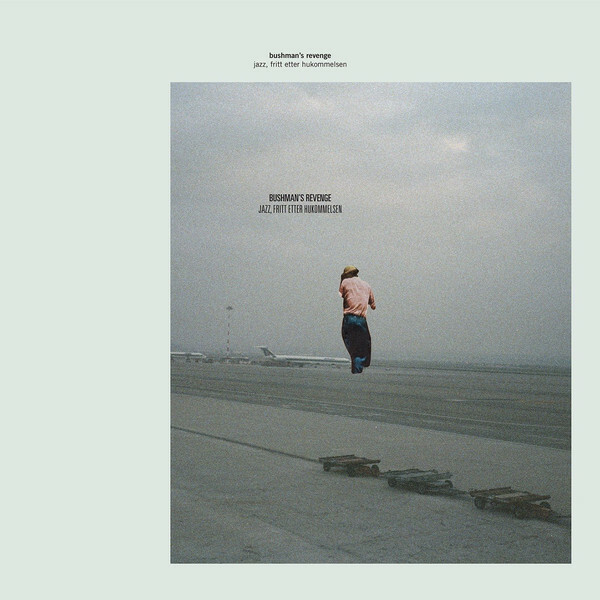 Eventually, Bushmnan’s Revenge decided to record their “first proper jazz album,” Jazz, Fritt Etter Hukommelsen, which was released by Rune Grammofon. It shows different sides to Bushman’s Revenge. Lola is a languid and wistful slice of late summer Scandinavian jazz. The listener is transported back in time to the sixties as Bushman’s Revenge became a jazz trio. Seamlessly, they adopt to the change of style, before the album heads in the direction of electric blues. Just like Jimi Hendrix, this is starting point for 0500, Bo Marius and Gamle Plata Til Arne. They heads in new and unexpected directions, combining electric blues with rock, psychedelia and jazz. There’s even diversions into avant-garde, blues rock and free jazz. Mostly, electric blues, jazz and rock are to the fore as Bushman’s Revenge fuse disparate musical genres. They create ambitious, inventive and innovative music on Fritt Etter Hukommelsen, which isBushman’s Revenge’s “first proper jazz album.” Maybe this will be the start of a new chapter in the career of musical pioneers Bushman’s Revenge? Only time will tell. Nowadays,, Camera are regarded as one of the leading lights of the Neu-Krautrock scene. Camera’s 2012 debut album Radiate was released to critical acclaim. So too was their 2014 sophomore album Remember I Was Carbon Dioxide. 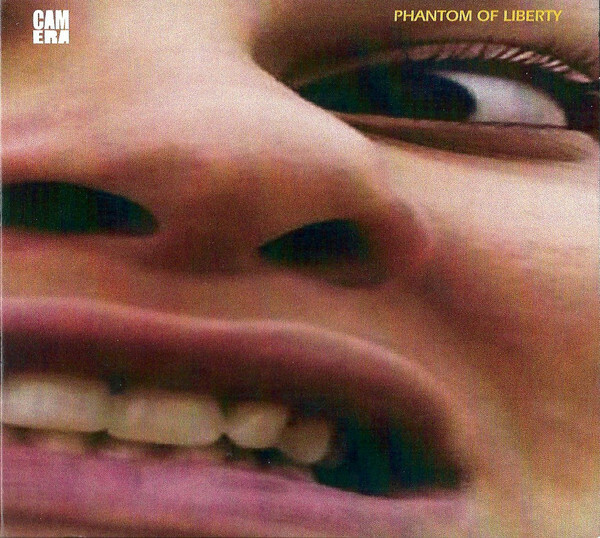 It set the bar high for Camera’s third album Phantom Of Liberty on which was released pn Bureau B . Camera take as their starting point Krautrock on Phantom Of Liberty, and add to that, elements of avant-garde, Berlin School, electronica, improv, progressive rock, psychedelia and rock. Seamlessly, Camera switch between, and fuse musical genres within the one track. Mostly, though, the hypnotic, relentless drums power the arrangement along. They’re reminiscent of Can, Neu and La Düsseldorf. Often, the drums sound as if they’ve been inspired by Klaus Dinger and occasionally, John Bonham of Led Zeppelin. Sometimes, the guitars are reminiscent of Michael Rother or Jimi Hendrix. Meanwhile, some of the keyboard sounds wouldn’t sound out of place on seventies progressive rock albums. They play an important part in the success and sound of Phantom Of Liberty. The keyboards are part of Camera’s sonic pallet. It’s put to good use throughout the album. Often, the keyboards produce futuristic, space-age sounds. Other times, they produce ghostly, ethereal and elegiac sounds. This variety of sounds are part of Camera’s carefully constructed musical tapestry, Phantom Of Liberty which is a career-defining album. Since forming Caus Sui in Odense, in Southern Denmark in 2005, the band has released eleven albums. 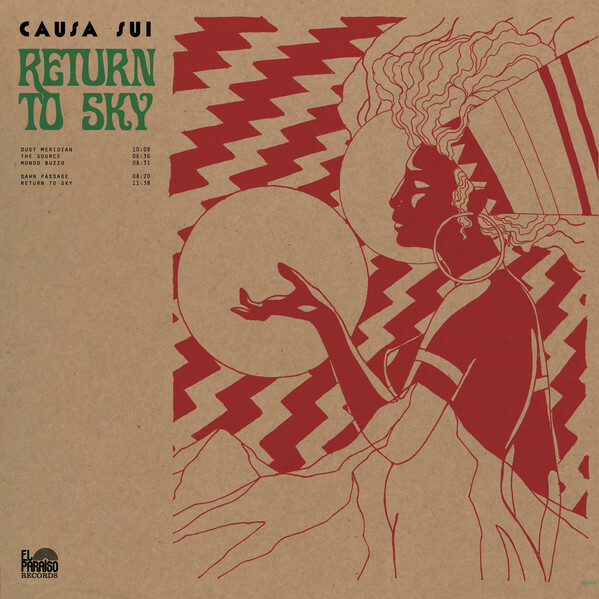 Their latest was Return To Sky which was released on El Paraiso Records. Return To Sky references four decades of music. Elements of classic rock, Krautrock, psychedelia, progressive rock, stoner rock and space rock. Ambient and avant-garde have also influenced Causa Sui. So have Can, Jimi Hendrix, Led Zeppelin, Michael Rother and Pink Floyd. The result is a heady brew and musical genres and influences, Return To Sky. It’s an album that veers between dark and dramatic and hard rocking to lysergic, dreamy and wistful to mesmeric and melodic. Return To Sky is all these things and more. 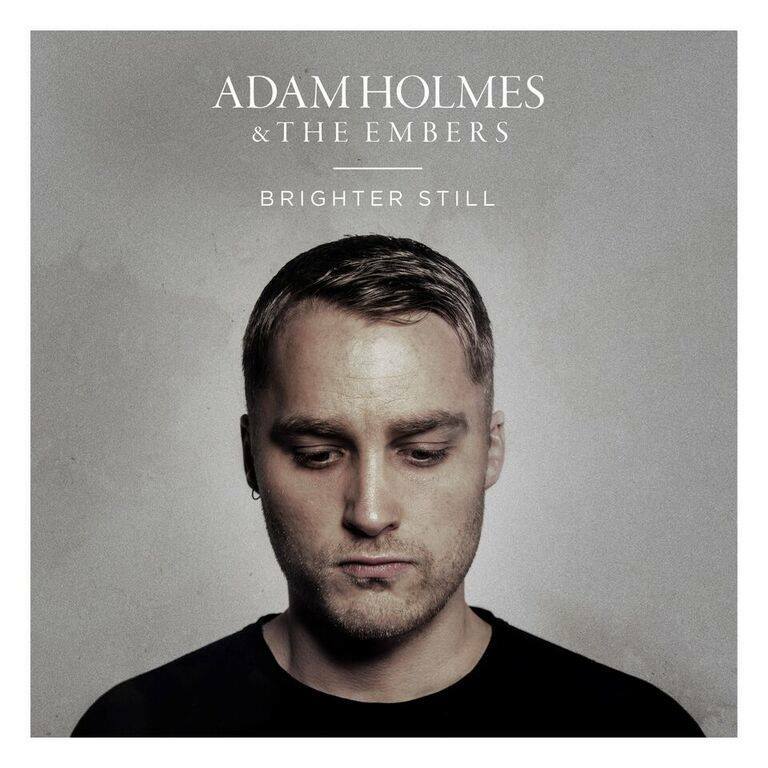 It also features four hugely talented musicians as they reinvent their music yet again. This is a constant process that ensures that Causa Sui are one step ahead of the musical crowd. Causa Sui are always one step ahead of the listener. They’ve always got a surprise in-store for the unwary listener. At any given moment, Causa Sui could throw a curveball that transforms the track. Suddenly, hard rock becomes lysergic and wistful. It’s a case of expect the unexpected throughout Return To Sky, where musical chameleons Causa Sui keep the listener on their toes during what’s a career defining album. ← BEST NEW ALBUMS OF 2016-PART 2.